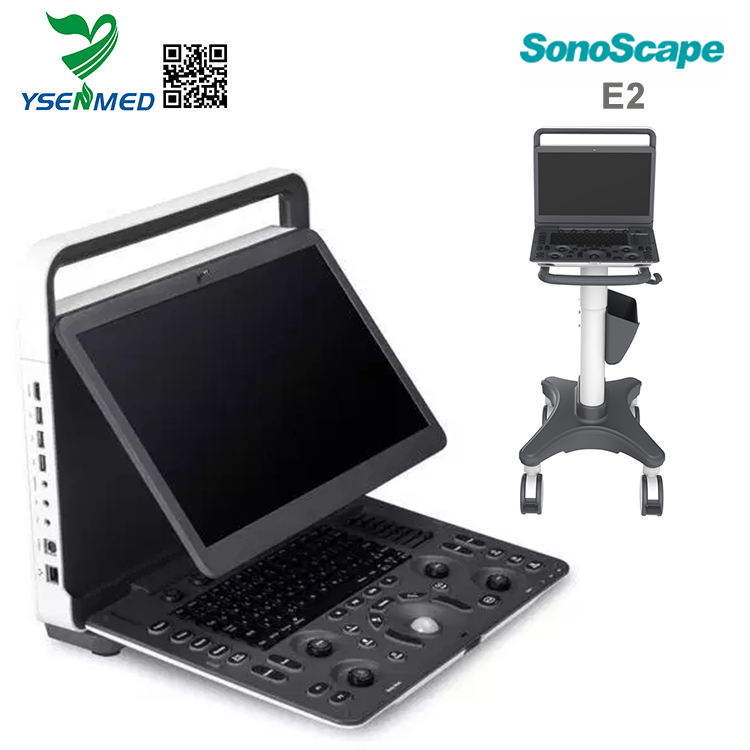 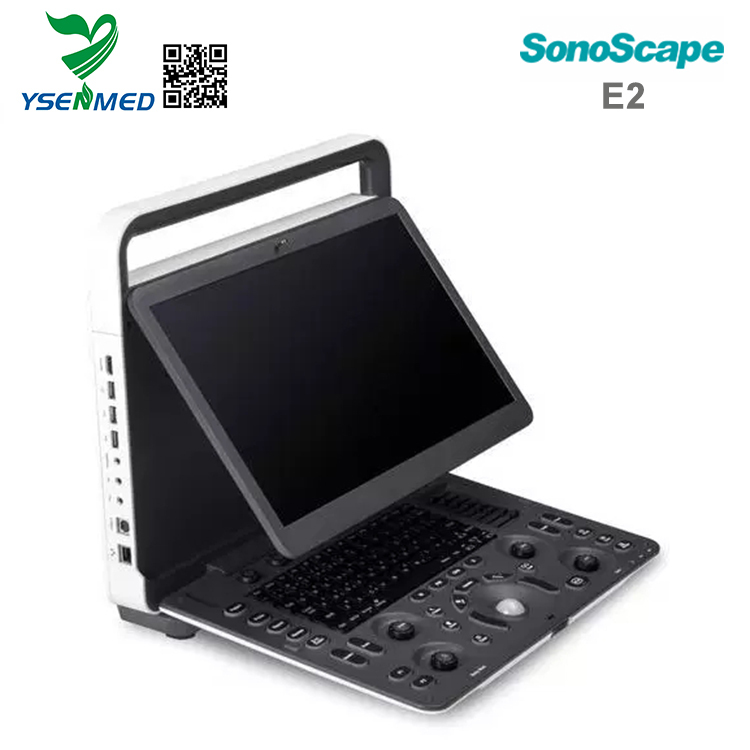 SonoScape E2 is a color Doppler ultrasound system that reaches beyond your expectations due to its compact and fashionable appearance. 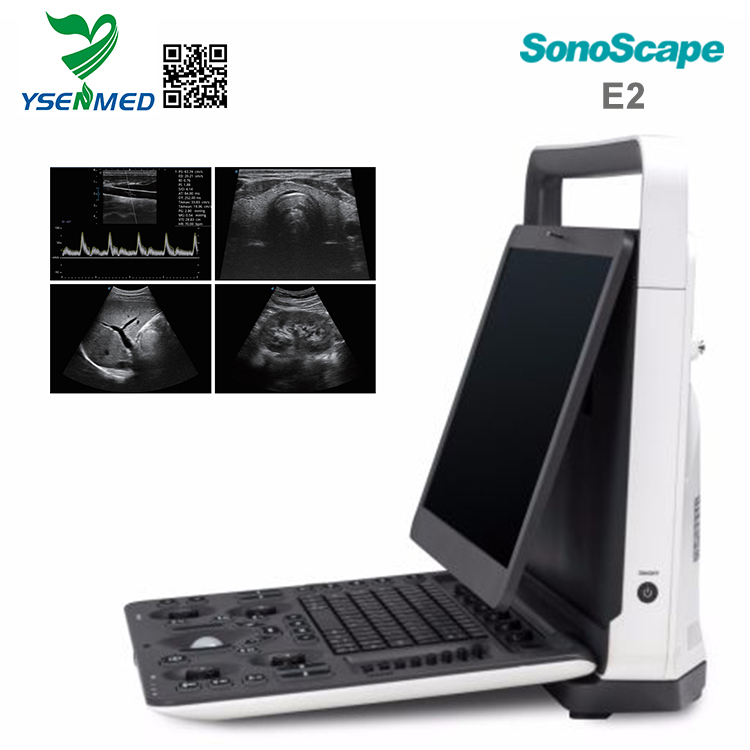 It fulfills GI, OB/GYN, Cardiac and POC applications to fit your routine scanning needs while its color mode will help you for more accurate and efficient diagnosis of lesions. 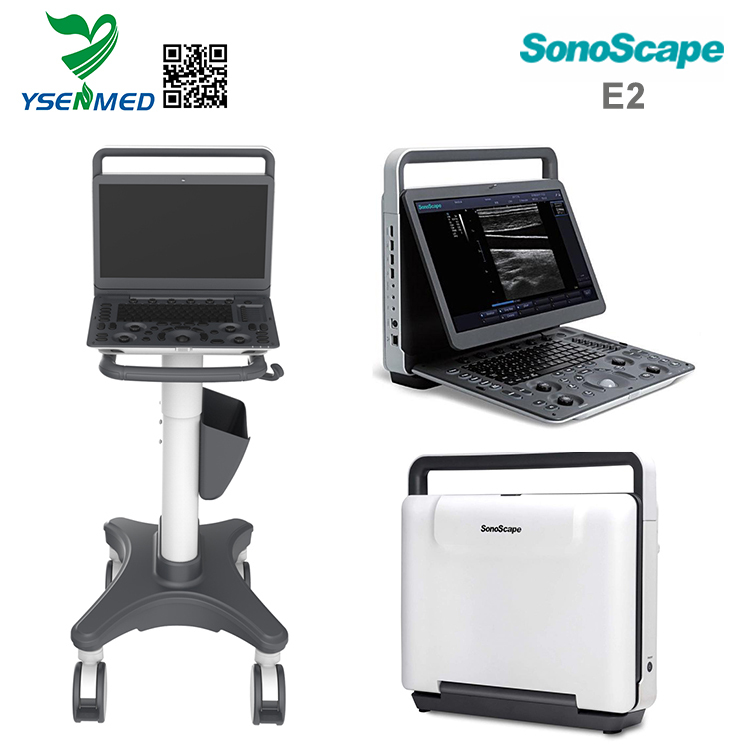 With the press of a button the image is automatically adjusted and optimized, saving you time with parameter adjustments. 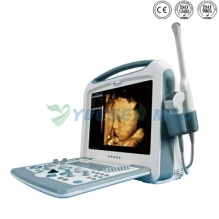 Additionally, with Auto Focus on, the focus area follows the depth of the ROI box as it is moved in the scanning field, providing users a excellent image quality in the desired area of interested. 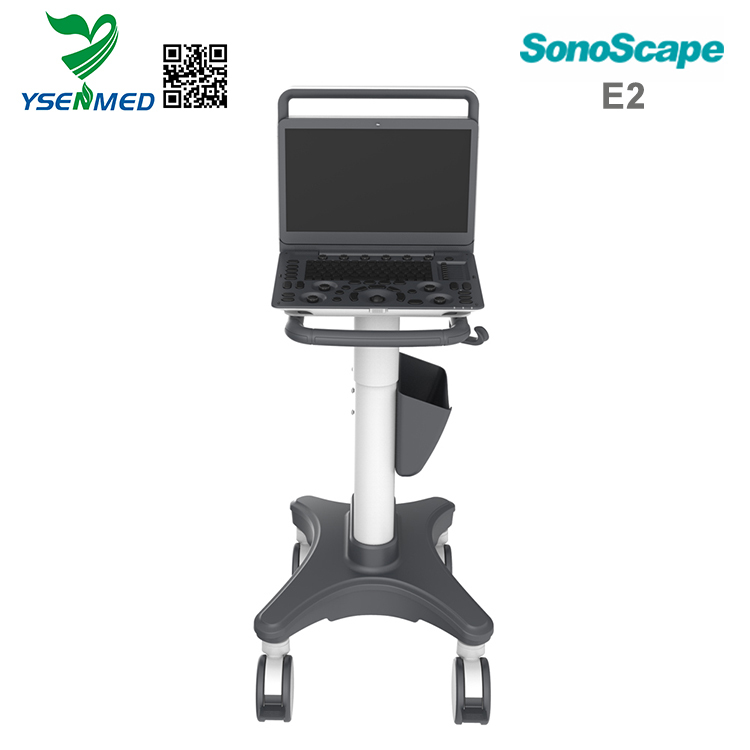 Sonoscape E2 provides automatic calculations to enhance your diagnostic confidence and save you time for patient communication. 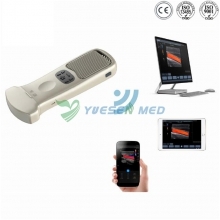 Auto IMT is used when determining the level of vascular sclerosis present in the patient by automatically tracing the thickness of the carotid vessels. 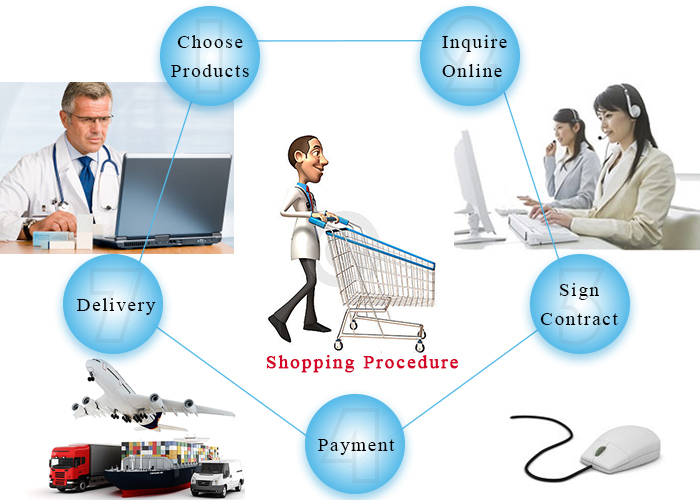 Auto trace provides users sensitive and accurate wave tracing, avoiding error of manual trace and giving out calculation result in no time.